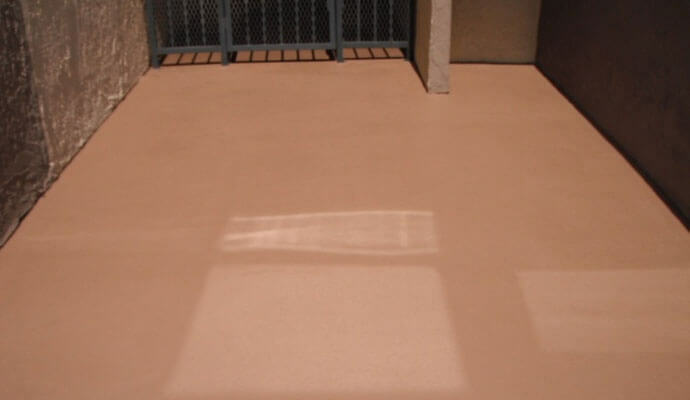 Tuff Kote Systems is the leader for comprehensive residential and commercial waterproofing services in Orange County and the greater Los Angeles region. We provide both below grade and above grade waterproofing services, in conjunction with our general contracting division, General Contracting Group, and with over 25 years of experience in the industry, we possess the knowledge and expertise required to effectively pinpoint, diagnose, and resolve every type of above grade and below grade moisture related problem in all types of residential and commercial construction. As a full service waterproofing contractor, we can effectively waterproof roofing systems, decks, elevated walkways, and balconies, protecting their associated structures from the deleterious effects of damage caused by water leakage through these building components. We can waterproof driveways, walkways, planter boxes, courtyards, pool decks, ponds, and other hardscape surfaces, sealing them against staining and soiling, and prolonging their lifespans. In addition, we also waterproof below grade supporting structural members such as foundation and retaining walls, concrete slabs, and footings – protecting them from the corrosive effects of ground and surface water seepage. High water tables and surface water can both contribute to below grade moisture problems in residential and commercial structures. And these conditions are all too often compounded by a poorly graded or sloping landscape surrounding the structure, containing a poorly functioning ground level drainage system, and in addition, an inadequate rain gutter system. Proper below-grade design begins with the diversion of surface and groundwater away from the structure, as below-grade foundation elements should not be subjected to excessive amounts of moisture whenever possible. This is due to the fact that adverse moisture conditions can cause significant damage to a building's supporting structural members, resulting in concrete spalling, reinforcing steel corrosion, and the formation of cracks in the building due to structural settlement. This damage is caused by the seepage of water, as well as the transmission of water vapor, through these porous surfaces. But the structural damage caused by this excessive moisture does not end there. Below grade moisture encourages the development of mold and mildew which can then spread upward into the building's envelope, further damaging the building and contributing to a whole host of air quality concerns for the building's occupants. Depend upon the waterproofing experts at Tuff Kote Systems to diagnose and resolve any above or below grade water leakage, seepage, or vapor transmission problems you may be experiencing at your residential or commercial property. Call us today for an estimate. We service all of Orange County and the greater Los Angeles area, and accept Visa, Mastercard, American Express, and checks. Tuff Kote Systems holds California State Contractor's License # 982528, and is bonded and insured.